It’s a hot and humid summer day in Pittsburgh when suddenly, out of nowhere, your air conditioning unit stops working and you need emergency air conditioning service with no time to spare. Take a deep breath, wipe away that sweat from your forehead, and stay calm. Top Notch Heating and Air provides same day AC services in Pittsburgh and surrounding Western PA suburbs and counties. The moment your AC shows any sign of trouble, give us a call and an experienced Pittsburgh air conditioning contractor will be dispatched to your house right away to troubleshoot the issue. Why Choose Us for Emergency AC Service & Repair in Pittsburgh? Air conditioning units tend to break down right when we need them the most. Our emergency AC service and repair technicians can get your air conditioner back up and running in no time at all. We’ll use our highly advanced diagnostic equipment to thoroughly examine your system. Our technicians can typically find the cause of your problem with one simple test. In most cases, a relatively quick fix is all that’s needed to bring your air conditioning unit back to life. It can be something as simple as a malfunctioning thermostat or a dirty air filter that completely shuts down your system. Thermostats in air conditioning units today are highly advanced and connected to multiple triggers. These triggers will send a signal to the thermostat to shut down the unit if a leak or any other problem is detected. While this may seem like a nuisance, it’s important to remember that the purpose of these triggers is to alert you of smaller problems before they become bigger in scope. They exist to save you a lot of money in the future and keep you and your family safe. Our Pittsburgh AC contractor will also check and add coolant when necessary. We’re also able to detect and repair system leaks. We’ll then test the repairs to ensure everything’s working properly. 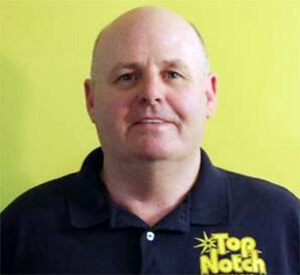 The team at Top Notch is expertly trained and up-to-date on the newest HVAC technology. We have knowledge and working familiarity with all air conditioner makes and models. When we’re called on for 24-hour AC service in Pittsburgh, our number one objective is to get your AC working again. Air conditioners, like any other living thing, are not immortal. At a certain point, every air conditioning unit will see its final day. A unit’s inevitable demise will come sooner if it hasn’t been properly maintained or if it’s too big or small for your home. In certain instances, we may be able to extend your air conditioner’s lifespan a bit before you’ll ultimately need a replacement. Even if we’re able to briefly delay any need for a replacement, we’ll still provide you with all the information we can to help you select a new air conditioner that’s right for your budget and home. Air conditioner replacement can be an unexpected expense. To help you, we accept most major credit cards and have financing options available. We do our best to make replacing an air conditioner as easy as possible. If our 24-hour AC service technician determines a replacement unit is needed, we’ll guide you through the process of finding the right central air system replacement. Properly sizing your replacement AC is one of the most important things we do. We’ll carefully assess your home’s square footage, roof type, and other factors to ensure you select an air conditioner that’s properly sized for your house. A unit that’s too big will still cool your home but it will also cycle on and off too much. Not only will this constant cycling wear down the motor, but moisture isn’t eliminated properly, which can lead to mold, mildew, and a musty smell throughout your home. Meanwhile, if your replacement unit is too small, it will constantly run to keep your home cool. Both of these scenarios will result in higher utility bills, an increased need for repairs, and shorten the lifespan of your air conditioning unit. We want to ensure you select a replacement unit that will properly cool your home and last you for up to a decade or more with routine maintenance and care. When you choose Top Notch Heating & Air for Pittsburgh emergency air conditioner service, you’ll get the support you need. Whether it’s a same-day repair or guiding you through replacing your air conditioning unit and ensuring proper installation. Call us today at 412-381-0598 or connect with us online for emergency AC services in Pittsburgh and surrounding suburbs and counties.